In 2016, California voted to legalise recreational marijuana use in the state, and recreational cannabis sales began in January 2018. Now one beer company is introducing a very different kind of drink than what we’re used to. Lagunitas is a brewing company owned by Heineken International, and are best known for their craft beers and IPAs. 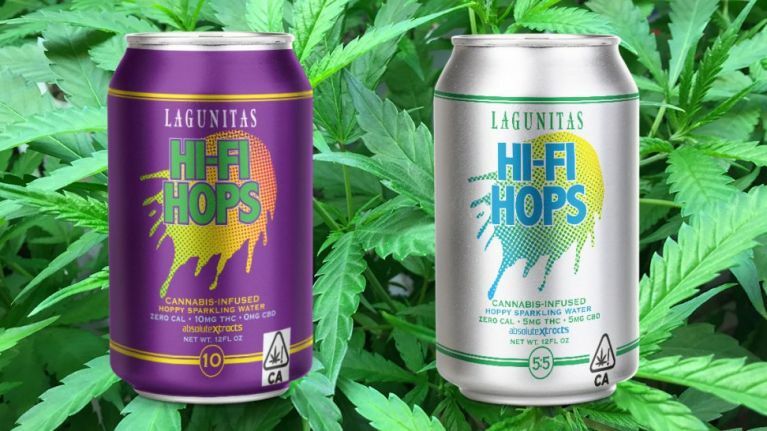 But their newest product, Hi-Fi Hops, has zero alcohol in it. Instead, it is made with THC, the main psychoactive ingredient in marijuana. The can describes it as "cannabis infused hoppy sparkling water". And unlike regular beer, it has zero calories. It comes in two varieties – one with 10mg of THC, and one with 5mg of THC and 5mg of CBD, the naturally occurring cannabinoid that does not have intoxicating effects, but is thought to have therapeutic qualities. The drink launched on 30 July, and is only available at a few licensed marijuana dispensaries in California. It costs a whopping $8 (€6.90) a can. It comes in a unique can, with a re-sealable opening instead of a regular ring pull.